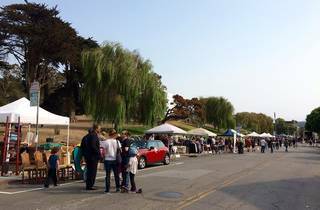 This yearly flea market surrounds Alamo Square Park, a picturesque place to spend the day even if you’re not hunting for deals. 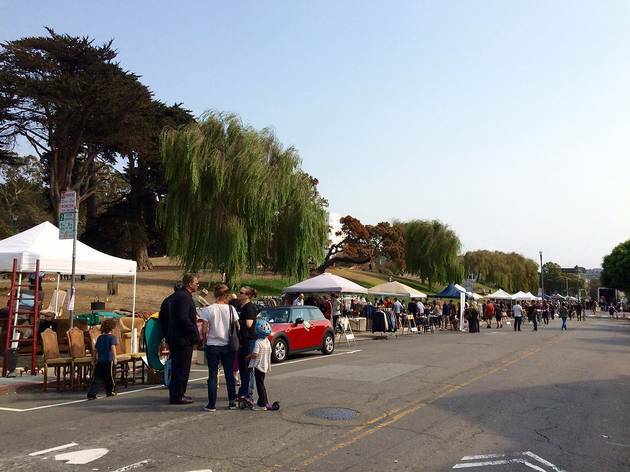 Hosted by the Alamo Square Neighborhood Association, the goods are a mixture of used furniture, art, clothes and gear, as well as new wares from design-minded local brands, including perfume, jewelry, crafts and toys. (Many participants are also regulars at the Renegade Craft Fair and West Coast Craft.) Typically, food trucks are stationed along the edge of the park, though the restaurant-packed strip of Divisadero is just a block away.